NPBFX Broker Review - 20$ Forex No Deposit Bonus! | Binary Options Brokers Reviews Blog NPBFX Broker Review - 20$ Forex No Deposit Bonus! NPBFX Broker Review - 20$ Forex No Deposit Bonus! 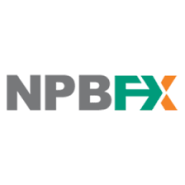 NPFBX is a Forex brokerage that used to be part of a Russian commercial bank and has now become its own entity offering trading services regulated off shore, except for institutional clients who are still served by the parent body. This Forex broker offers customer support 24 hours a day, 5 days a week in several languages. The website has a chat function as well as a live support phone line. NPFBX has many different avenues for deposit and withdrawal with instructions for each on their website.